Per ASME B 16.5, NPS 1/2 ” through NPS 2”. 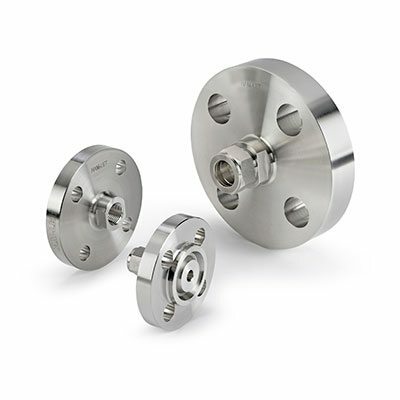 Flange with pressure rating class designation 150 to 2500. DIN EN 1092, Sizes DN 15 to 50. Flange with pressure rating class PN 40 to 100. JIS B 2220, Sizes DN 15 to 50. Flange with pressure rating 10K – 63K. NPT Male / Female 1/16″-2″. Sealing Faces, Flat Face, Raised Face, RTJ, Tongue or Groove. Alloy 400. sizes: 1/4″, 3/8″ ,1/2″. Alloy C-276-C sizes: 1/4″, 3/8″ ,1/2″. ANSI Flange complies to class 2500. TUV type test approval 359.11.2012 and TA-LUFT 2002 leakage. Cleaning requirements: per HAM-LET STD cleaning SOP 8184.